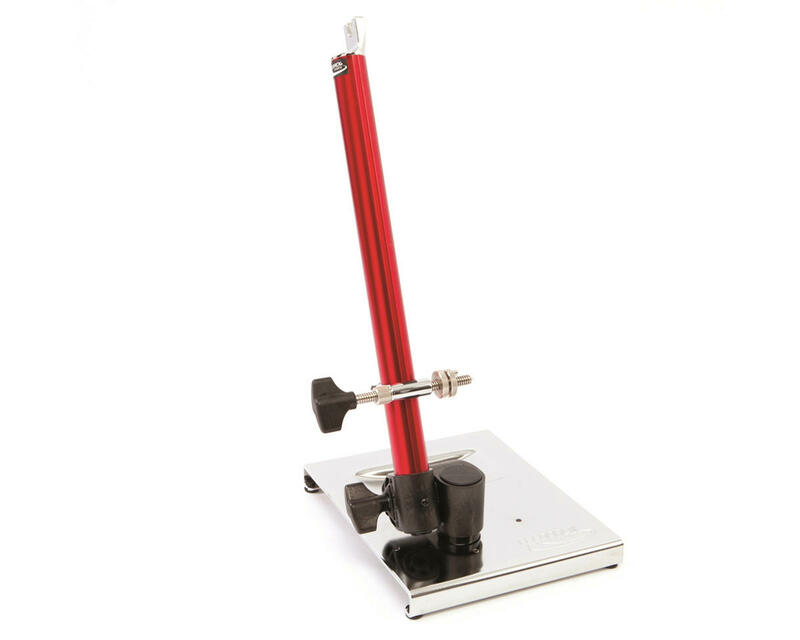 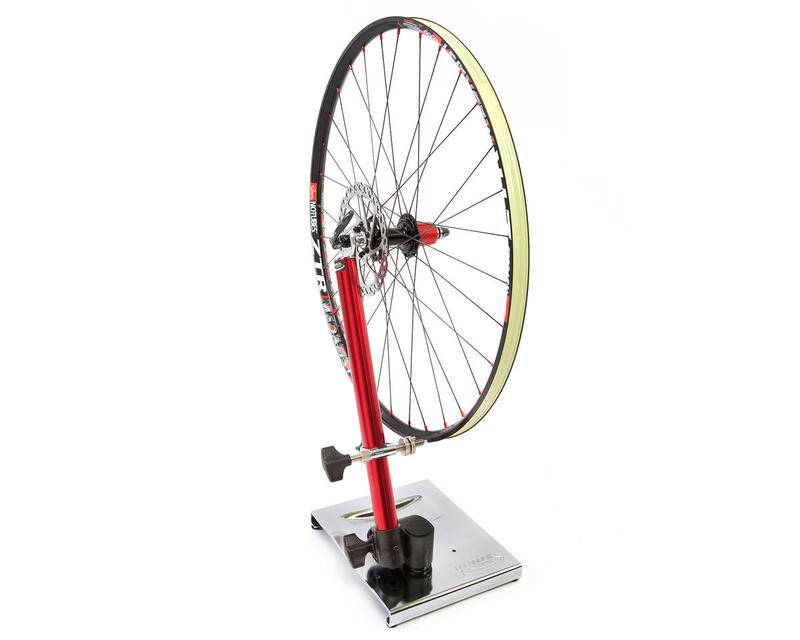 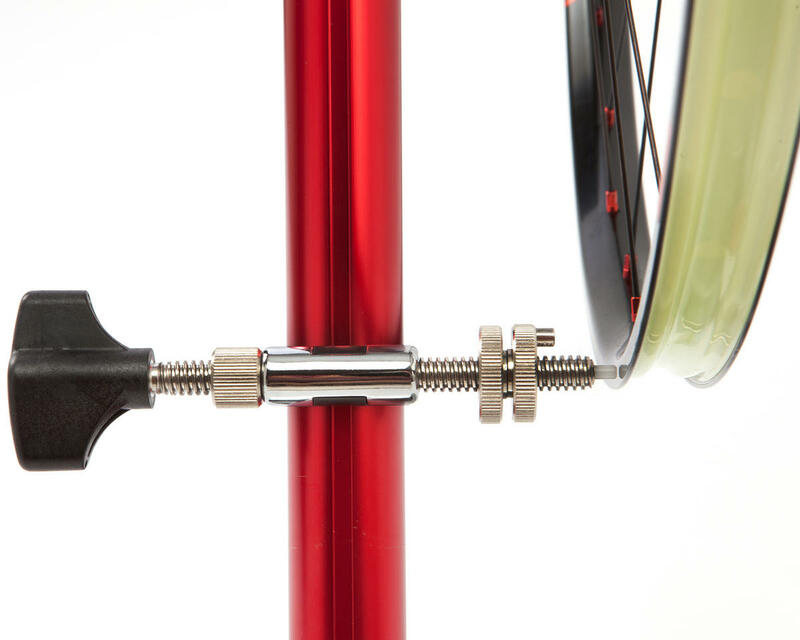 The Feedback Sports Pro Truing Stand can true up to 29" wheels without removing the tire. 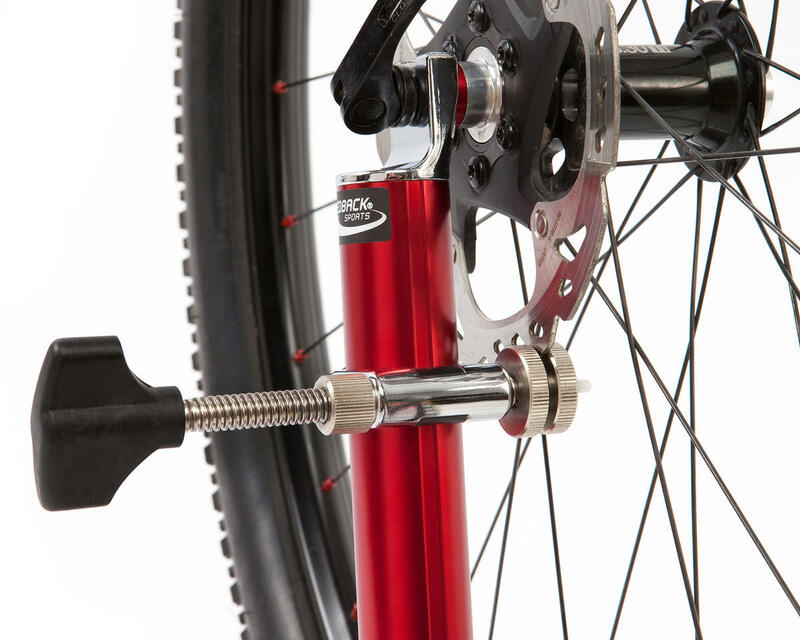 One arm design allows unrestricted wheel access. 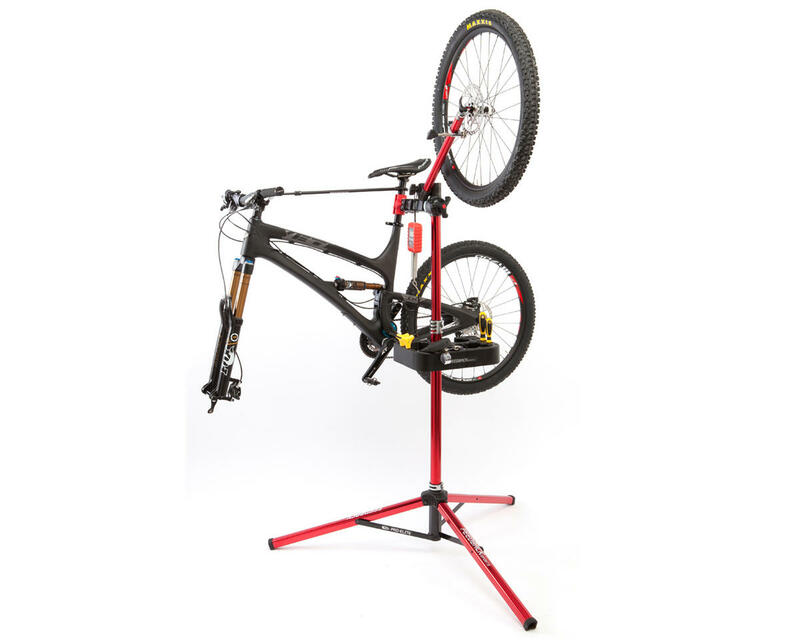 Stable base and bench mount adapter included.